Mukesh Ambani led Reliance Jio announced the JioPhone a month ago. The JioPhone is the company’s first 4G VoLTE enabled feature phone, and, it’s priced effectively free. While the company did reveal the JioPhone plans during the announcements, the exact specifications of the JioPhone were still unknown. 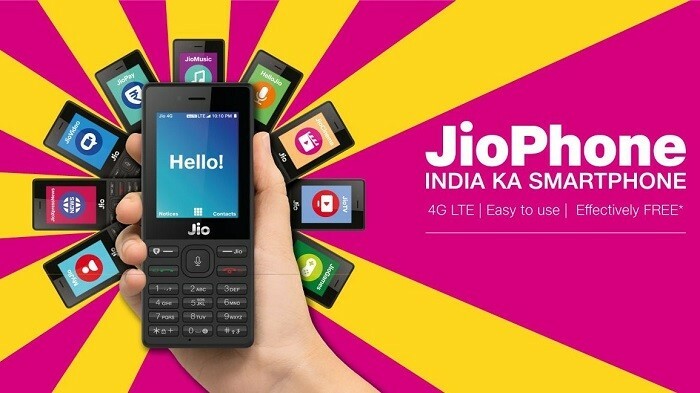 However, as the pre-booking for the JioPhone kicks off from today, Reliance Jio has updated its website while also sharing more details regarding the features and specifications of the JioPhone. The JioPhone is powered by a Spreadtrum SPRD 9820A/QC8905 dual-core processor which is clocked at 1.2 GHz and is paired with 512 MB RAM. The JioPhone, like we said earlier, is effectively free, however, you are required to pay a fully refundable security deposit of ₹1500 which you will get back after three years when you return the phone.